Bell plans on using Ford as a slot receiver even though the sophomore speedster caught just three passes out of the backfield last season. Another playmaker returning to the offense from last season is wide receiver Randall St. Felix who averaged 20.6 yards per reception and caught four touchdowns last season. While the offense will have three of its top playmakers back from last season (Cronkrite, Ford and St. Felix), the ways those players will be put into positions of success will be different than a year ago. Bell’s offense employs two playbooks — one is traditional and the other shows players a video of what the play should look like. Last season, the Bulls offense relied primarily on a hand-signal offense. 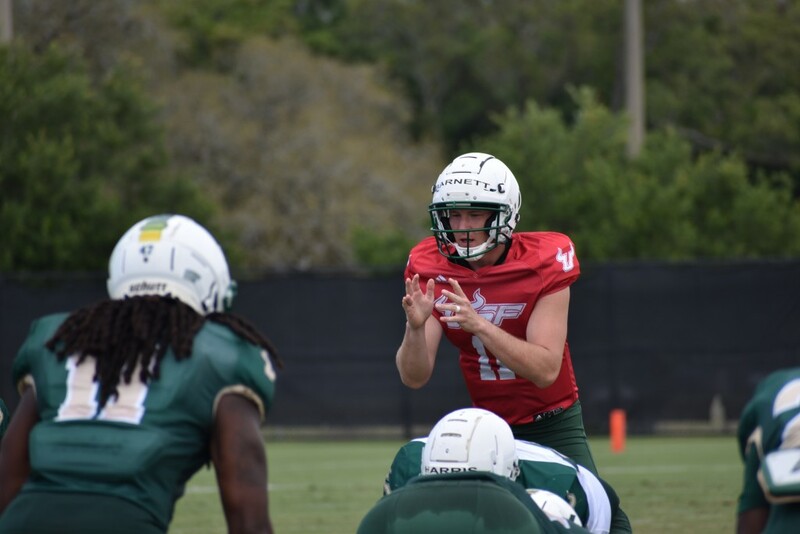 USF’s offense drew a fair amount of criticism last season because of what some thought was predictable playcalling. With Bell’s new playbooks in place, the Bulls will have a wider variety of options this season.